Big Brothers Big Sisters of America is ramping up its outreach to multicultural audiences in hopes of developing a more diverse mentor base. When Eddie, a character on the Fox sitcom 'til Death, signed up to be a mentor for Big Brothers Big Sisters (BBBS), he found himself paired with a “little brother” who just happened to be an adult. Although a punch line for the show, the problem it revealed is very real – that some children have a long wait until they are matched with a mentor, called a big brother or a big sister. BBBS was able to place the reference into the show's storyline, just one example of the organization's expanding outreach. While BBBS is one of the most well-known nonprofits in the US, it especially has struggled in recent years to find suitable mentors for the Hispanic and black boys it serves. As BBBS conducted more research, it found that the number of volunteers was disproportionally white and female, says Kelly Williams, director of media and PR for the Philadelphia-based organization. So the shift at the nonprofit has been “very strategic and very intentional,” says Judy Vredenburgh, president and CEO of BBBS. And the question turned to how the nonprofit, which was founded more than 100 years ago, could change the way it communicates to reach different demographics. Key questions that the staff began to ask focused on the types of messaging BBBS could use to reach these demographics. If the nonprofit wants more black men to sign up as mentors, what message will resonate? How can the organization encourage more Hispanics to volunteer, without offending the traditional framework of a Hispanic family? One of BBBS' most recent efforts is its “Campaign for Men,” which launched in January 2008 and has an emphasis on recruiting black and Hispanic men. When Williams joined the nonprofit this past summer, she looked at developing a PR platform to generate more awareness about the program, for which The Arby's Foundation is the corporate partner. 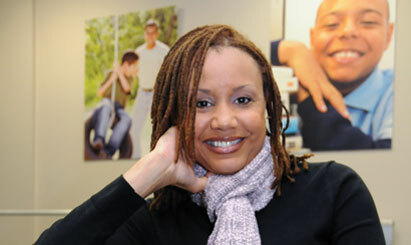 She created a national urban radio campaign, led by two Atlanta-based DJs, Doug and Ryan Stewart. The “2 Live Stews” were already big brothers and are well respected in the urban and sports radio community because of their syndicated radio program, says Williams. The two are also involved with the Tom Joyner Morning Show, ESPN, and Black Men Revealed, a talk series which runs on TV One. Efforts will direct listeners to mentoringbrothers.org when the campaign kicks off this month, which is also National Mentoring Month. The duo will encourage men to become mentors, as well as donate time and money to the organization. But one challenge, Williams notes, is that using a message that says big brothers are substitute fathers does not resonate with black men. As such, assuring volunteers that their role is as a mentor solely is of particular importance with that demographic. One of BBBS' key components of multicultural outreach has been a partnership with historically black fraternity Alpha Phi Alpha. As part of this effort, fraternity members conduct drives to recruit black men as mentors. Another recent effort united singer Nick Cannon and longtime partner American Eagle Outfitters. Cannon is featured in a PSA, which eventually garnered coverage from E! News and Life & Style. It is also found on the BBBS Web site. What makes this partnership important for the nonprofit is that Cannon and American Eagle Outfitters both speak to a young, urban audience – mainly 12- to 21-year- olds. It also gives BBBS the opportunity to prove that its services are relevant and increase overall awareness, says Jessiah Styles, director of cause-related marketing and strategic partnerships for BBBS. “The makeup of the US population is shifting,” adds Styles, who notes that a more diverse staff contributed to its focus on multicultural outreach. He adds that BBBS' corporate partners are also more eager now to tap into ethnic markets. Other BBBS ambassadors have included actor Hill Harper, musician David Banner, and Los Lonely Boys, which was the nonprofit's first Hispanic ambassador. In 2007, the band invited 10 kids to a concert and a “school of rock” session as part of the BBBS partnership. While outreach to the black community has been underway for nearly a decade, the focus on the Hispanic community kicked off in 2004, says Vredenburgh. BBBS is starting outreach to the Native American community now. And, with each community, staffers have found that different messages are better suited to different audiences. “We need to become a part of their community,” says Kay Keenan, VP of marcomms for BBBS. She notes that there is no word for ‘mentor' in Spanish, so making sure that Hispanic families understand what BBBS does is a huge element of its communications strategy. As part of its Hispanic outreach, BBBS developed a microsite for Spanish speakers and Spanish-language brochures. Just as BBBS has evolved to become more intentional and proactive in its marketing and messaging, so have its communications tactics – be it an episode of a Fox sitcom, viral PSAs, or celebrity ambassadors.